Heat oil in a large skillet over medium high heat. Add bell peppers and saute for 5 minutes or until tender. Stir in cabbage and cook for an additional 2 minutes. Then stir in spinach and remove pan from heat. 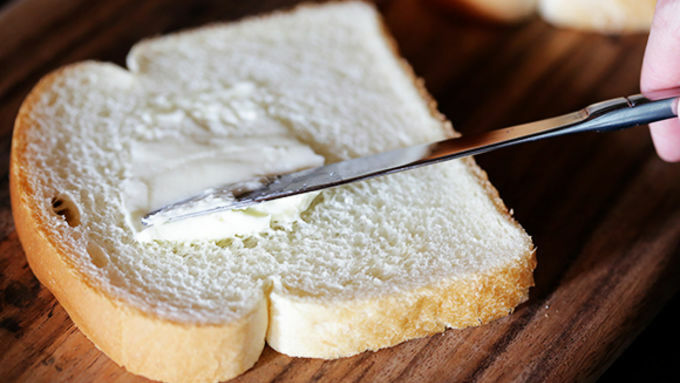 Meanwhile, spread the butter on one side of each piece of bread. Return pan to heat over medium low, and add the four slices of bread butter-side down to the pan. Place a slice of cheese atop each of the pieces of bread. 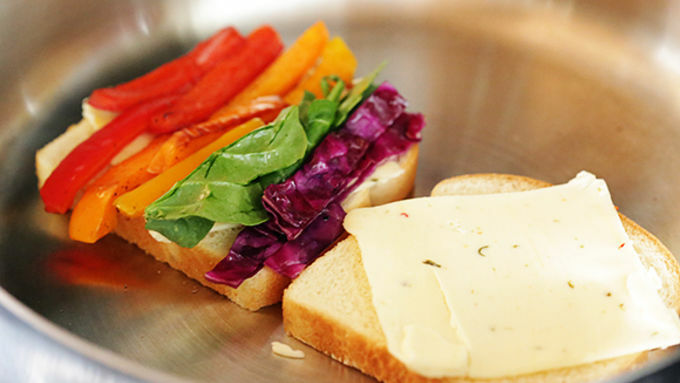 Then layer the peppers, spinach and cabbage in a row in the colors of the rainbow on the other 2 slices of bread. Continue cooking until the bread is toasted the cheese just begins to melt. Then use a spatula to remove each piece of bread with toppings. Place the cheese-only pieces of bread on top of the veggie pieces, and press down to seal. Serve with Food Should Taste Good™ veggie chips. 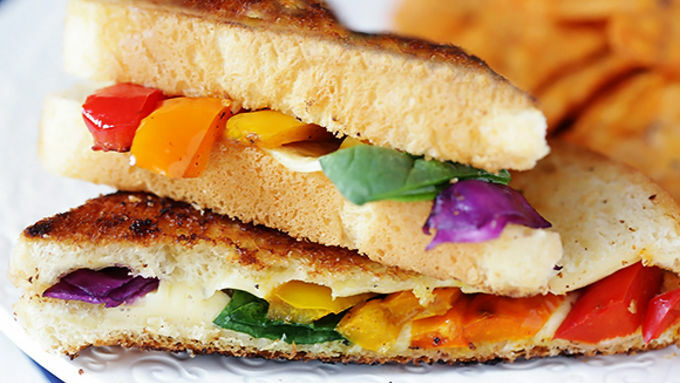 If you thought rainbows were just pretty to look at, wait'll you taste a rainbow -- in this fresh veggie Rainbow Grilled Cheese sandwich! Say cheeeeeese! 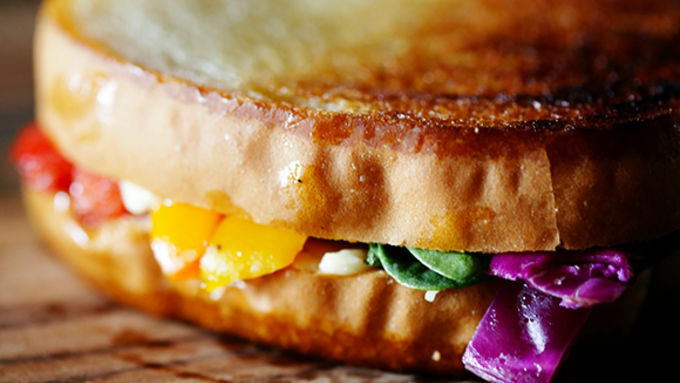 Today we are taking a classic grilled cheese sandwich and giving it a little makeover with some fresh veggies and COLOR! That’s right. 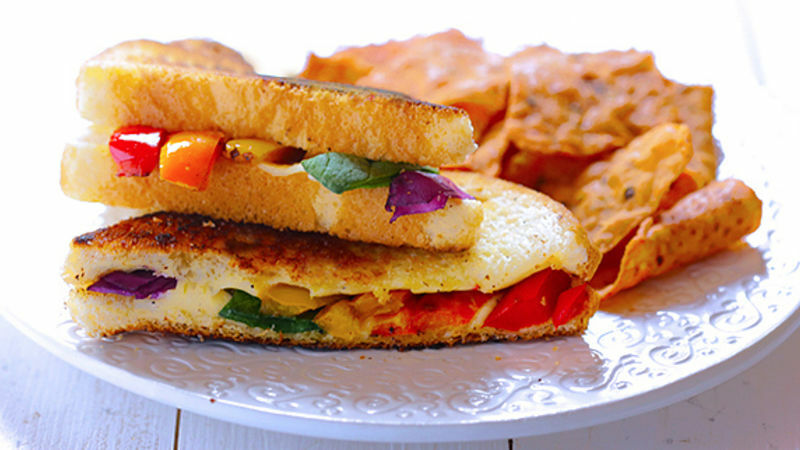 We’re going beyond the standard bread, butter and cheese sandwich to add in some extra healthy veggies that will make this grilled cheese all the more flavorful, and with the rainbow veggies, it’s also way more fun to eat! 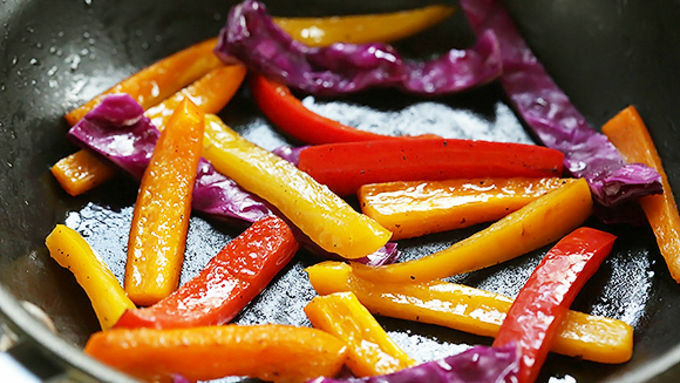 Admire your rainbow then serve with some Food Should Taste Good veggie chips. Delish!